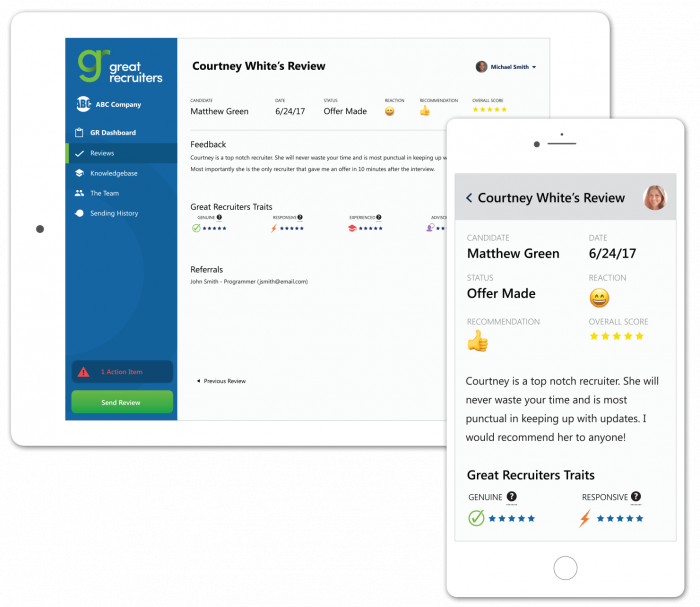 With Great Recruiters® you create an open door for all candidates to share their experiences with solicited and passive feedback. If you’re not asking, you don’t know what you’re missing. By creating an open door for feedback, you are heightening recruiter performance and providing transparency. 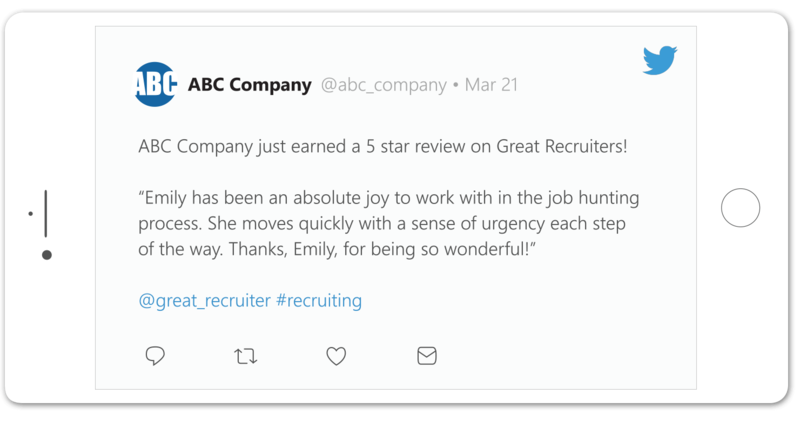 Recruiters become hungry to improve and want to see how they stack up against the competition. 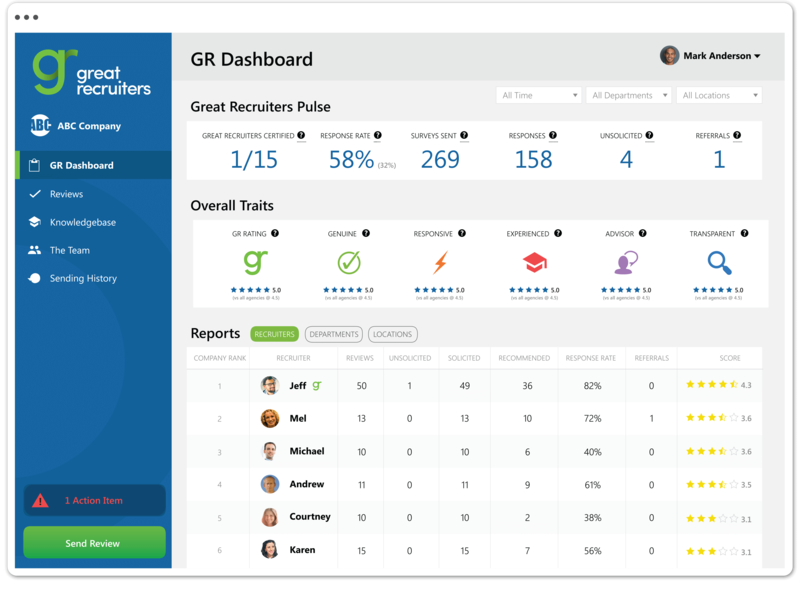 Now it’s time to take all that real-time candidate feedback and improved recruiter performance and shout it from the rooftops with Great Recruiters Social Boost. The results are staggering.